Prepared by Sandra L. Gottlieb, Esq. 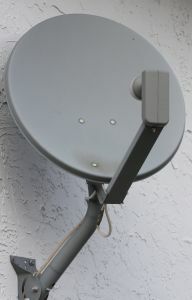 In the mid-90’s, The Federal Communications Commission (“FCC”) established rules known as the Over the Air Reception Devices, known by the acronym OTARD, which preempts provisions in many governing documents that require an owner to obtain approval before installing a satellite dish. The public policy part of the Telecommunications Act of 1996 (the “Act”) was the vehicle by which the FCC guaranteed that homeowners had reasonable access to new communication technology available to American consumers and provided that such access takes priority over private restrictions based on aesthetics. That said, however, the Act did not require associations to allow access to association common areas, but rather left the decisions concerning associations’ common areas, subject to statutory and governing document requirements, to the boards of directors of those associations. The common area at a condominium association is likely any area outside of the airspace of an owner’s unit or their exclusive use patio or balcony. Community association boards usually have the discretion to enter into an exclusive cable service contract with a particular telecommunications provider in order to provide that programming to the residents at a volume discount price. Cable providers often insist on exclusivity (meaning that no other providers are permitted to offer programming to residents) prior to committing to make upgrades at an association. On November 13, 2007, the FCC issued an order banning exclusivity contracts between cable operators (and other multi-channel video programming distributors) and multiple dwelling unit developments. The definition of multiple dwelling units developments includes condominiums, cooperatives, and communities of single family homes. The order from the FCC has not become a published federal regulation as it is still being considered whether it should apply to direct broadcast satellite services and private cable operators, not using local rights of way. This action by the FCC is consistent with its belief that communication providers (internet, wireless and cable) should be subject to the greatest possible competition in providing their services, and that consumers generally benefit from that competition. If you have an exclusivity clause in your cable or video programming distribution contract, this ban will not necessarily terminate the contract, but it may make certain (exclusivity) provisions of that agreement unenforceable. The impact of this ban on community associations is not certain at this point. The benefit of an exclusivity provision in the contract is that it sometimes enabled the association to obtain a better rate for the cable/video programming services, installation of fiber optics, cabling, free receivers, etc. Without an exclusivity clause, however, it is likely that any discounts will expire with contract renewals. We will keep you advised of any new developments about this new FCC order. If your association is under contract with a video programming provider or distributor, you should review the provisions of the contract to determine if there is an exclusivity clause and, if so, what the effect on the contract will be once the FCC order becomes an effective federal rule published in the Code of Federal Regulations. If you require our assistance, please contact our office. In addition, for more information please see CAI’s political information web site.